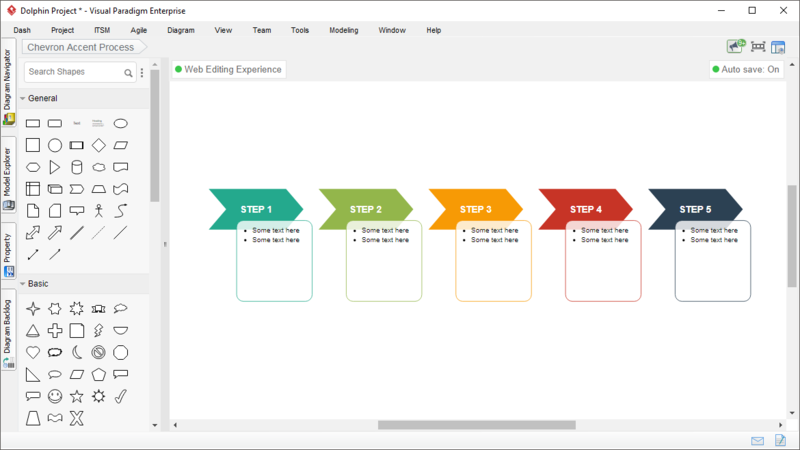 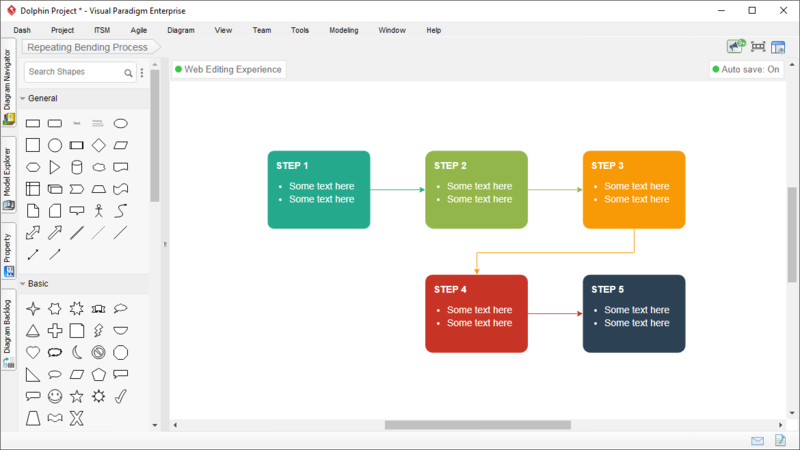 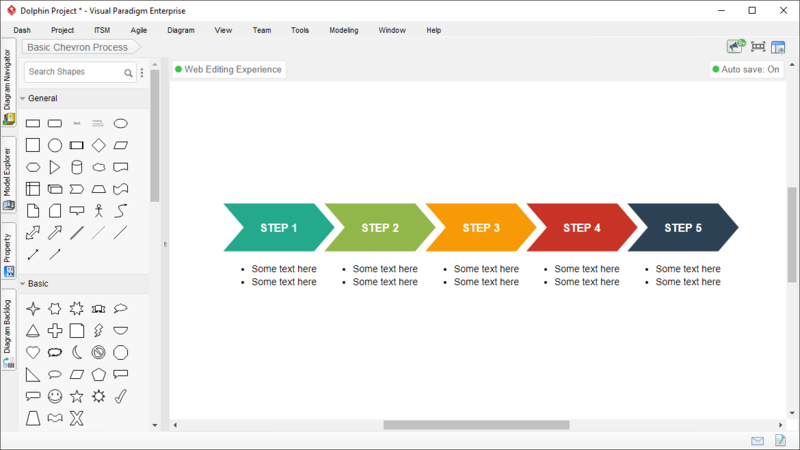 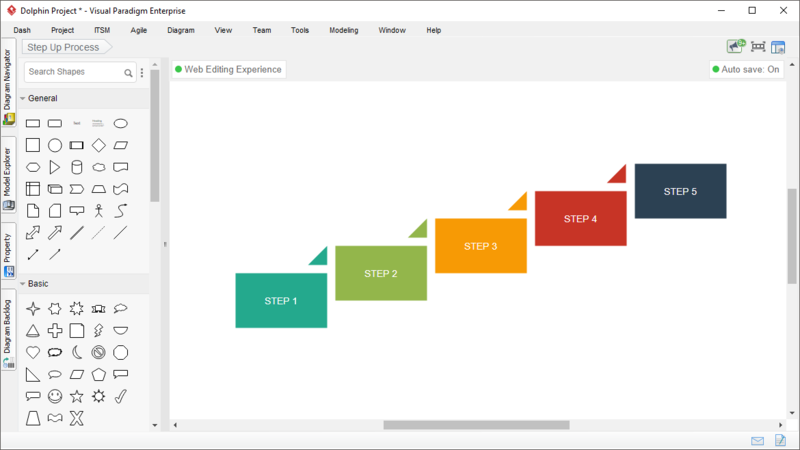 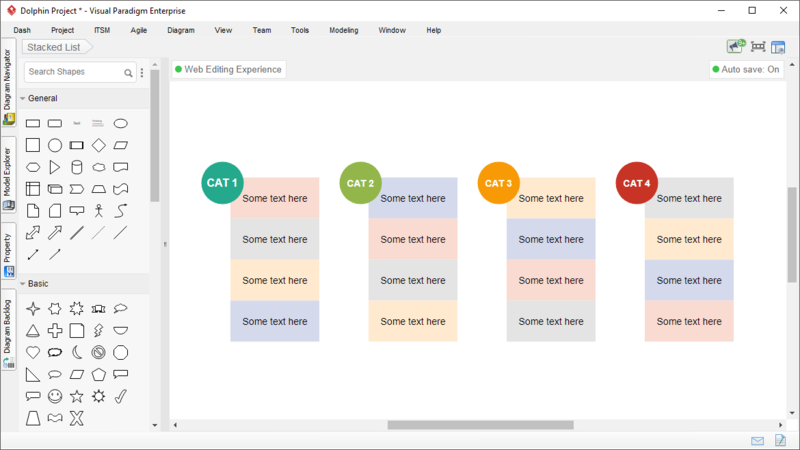 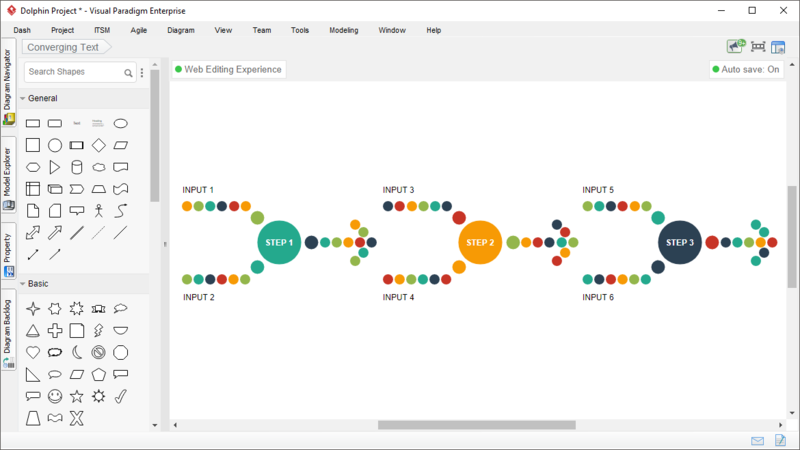 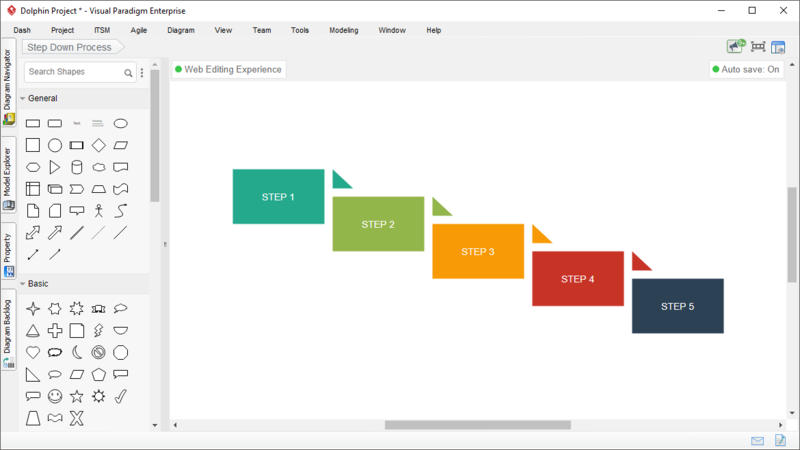 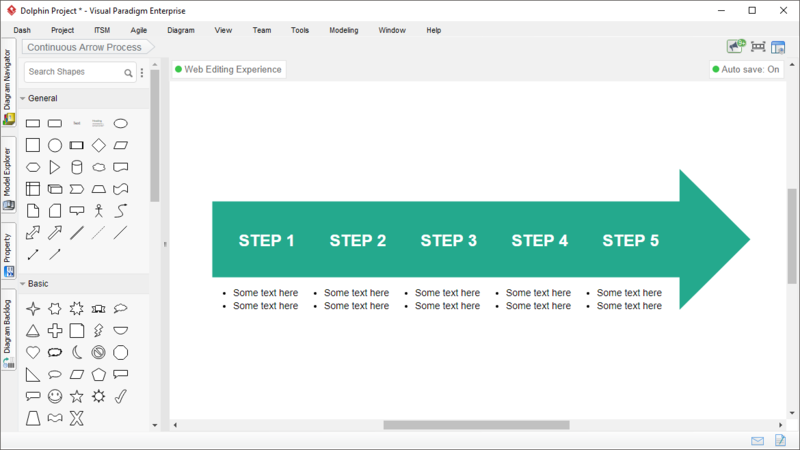 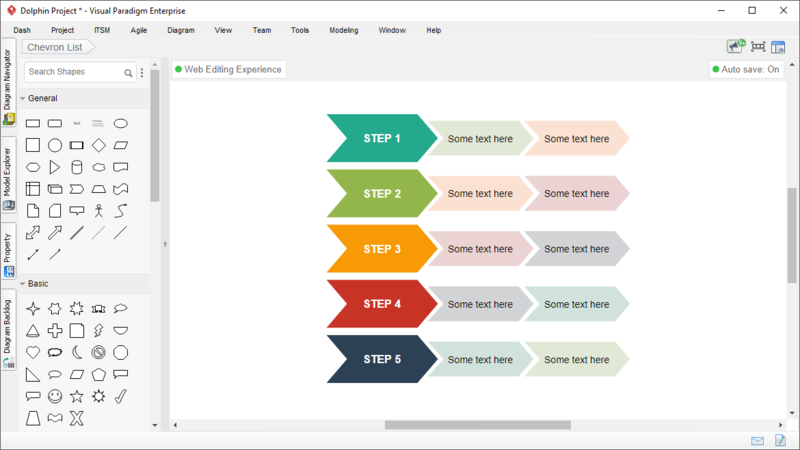 Create a visually appealing block diagram in a snap. 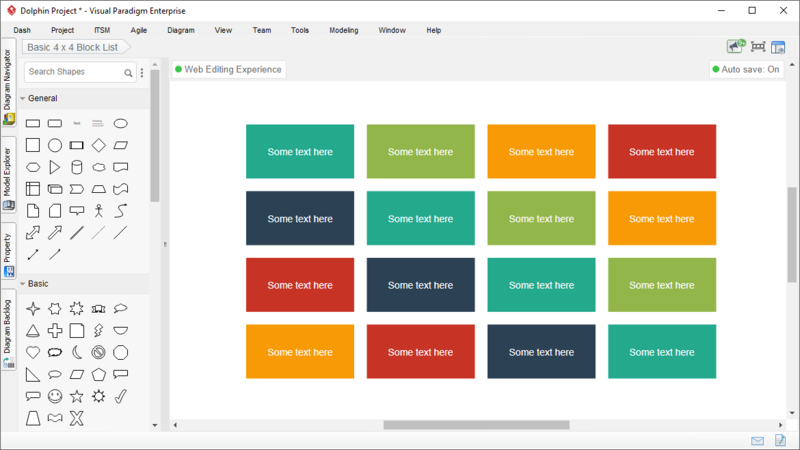 80+ templates are provided. 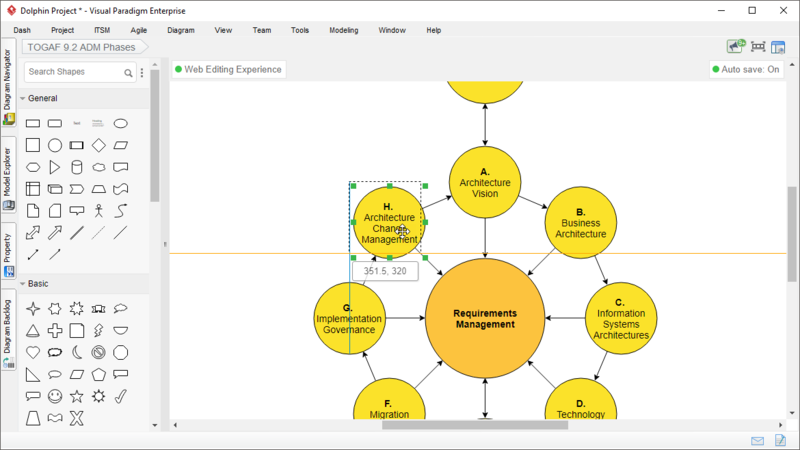 Visual Paradigm features a Block Diagram tool that allows you to present data and information with simple block shapes like rectangles, oval, triangle, callout, arrow, etc. Block diagram is generic enough to support a wide range of applications: architecture diagram, layout diagram, concept diagram, process diagram and more. 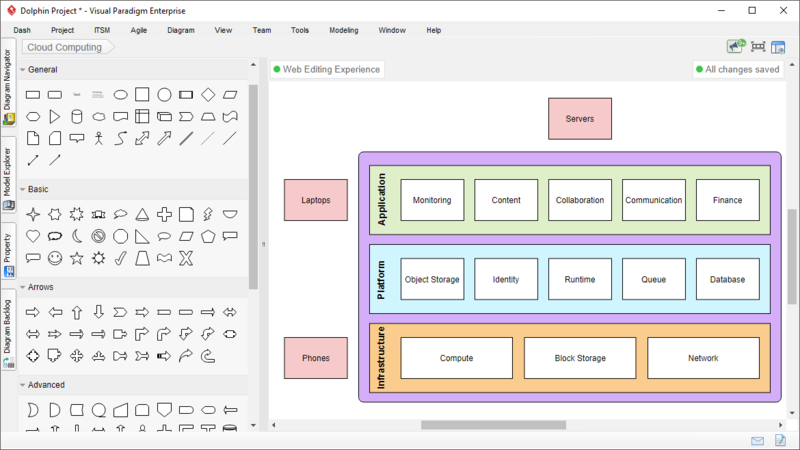 With the intuitive diagram editor and large number of beautifully designed block diagram templates and samples, you can create professional looking block diagrams in few minutes. 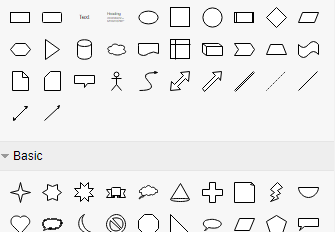 Over 150 ready-to-use vector objects are available for you to express concepts. 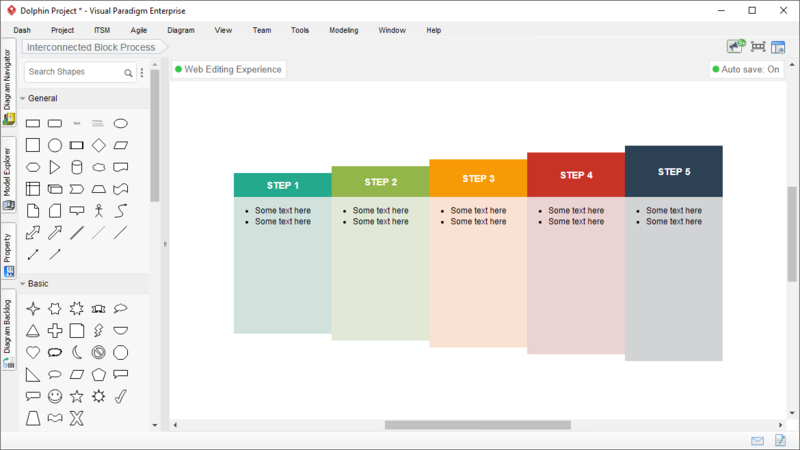 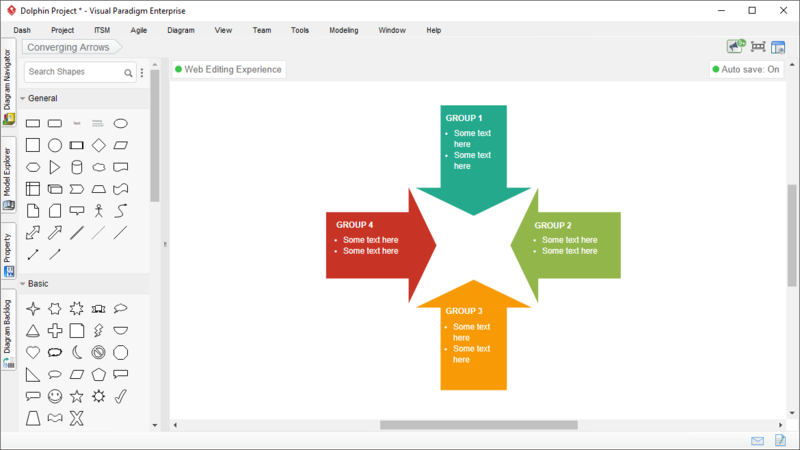 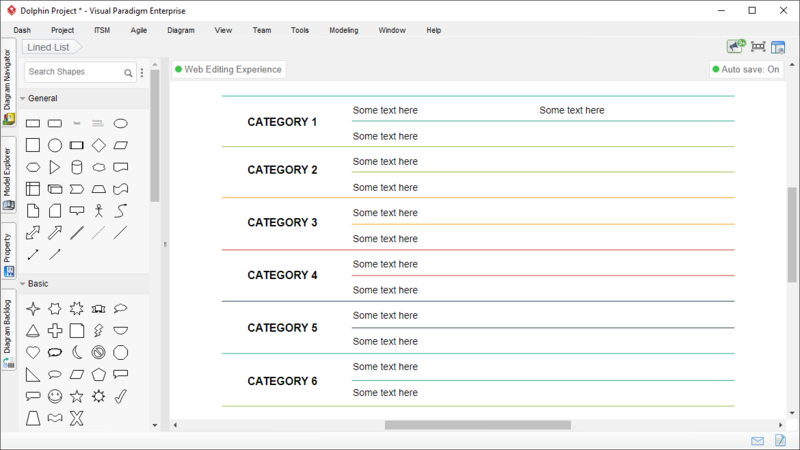 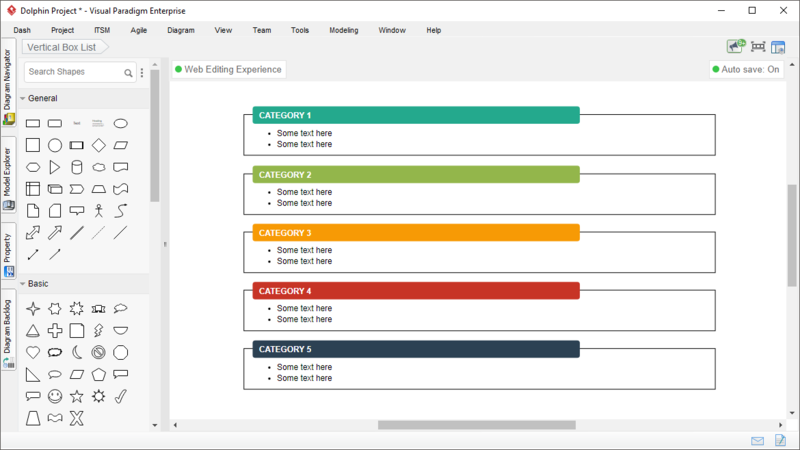 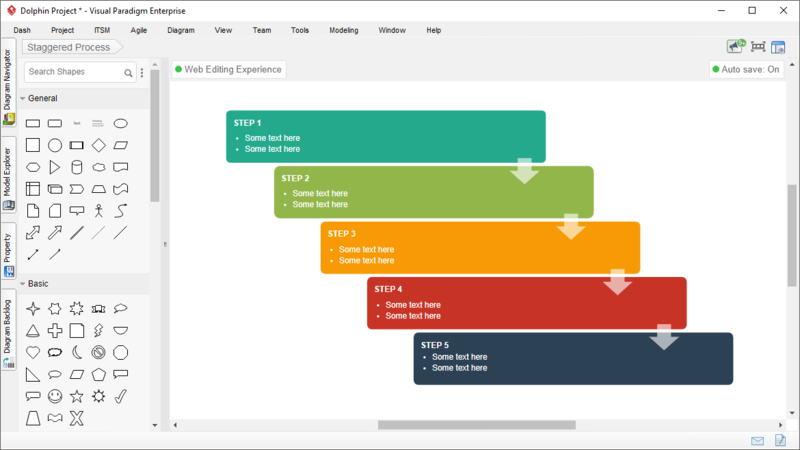 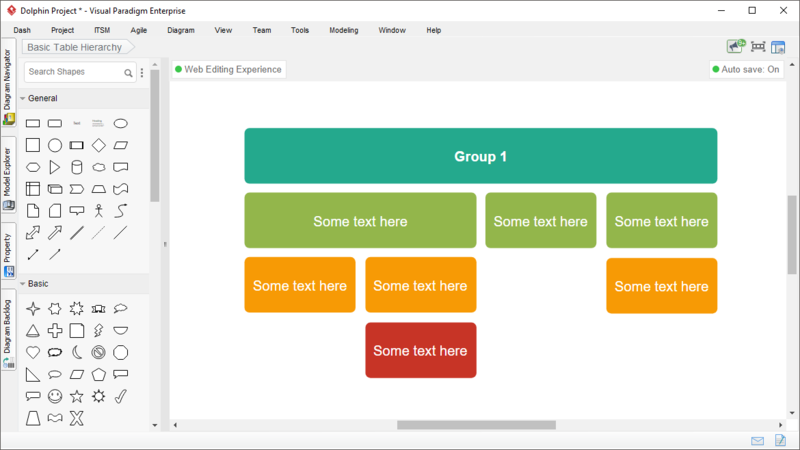 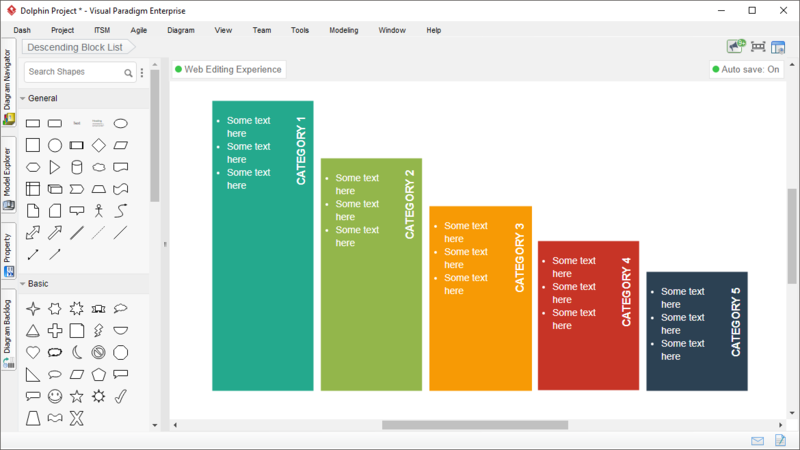 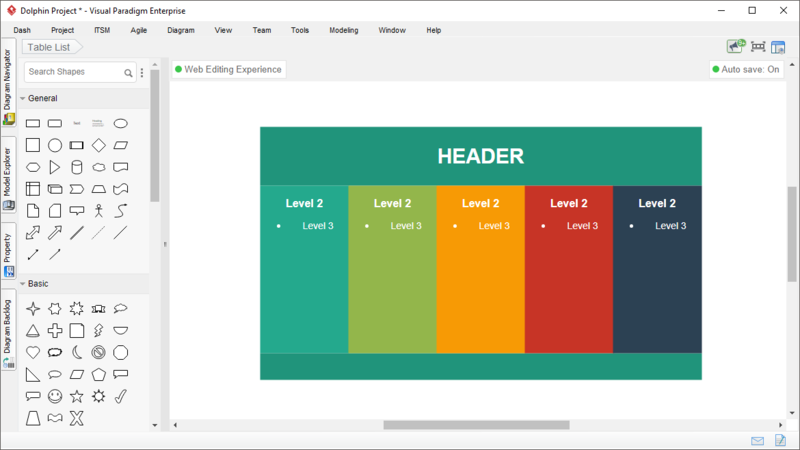 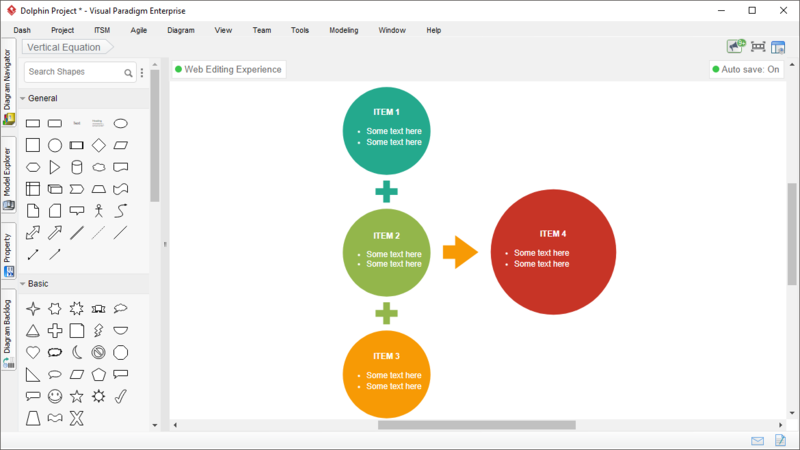 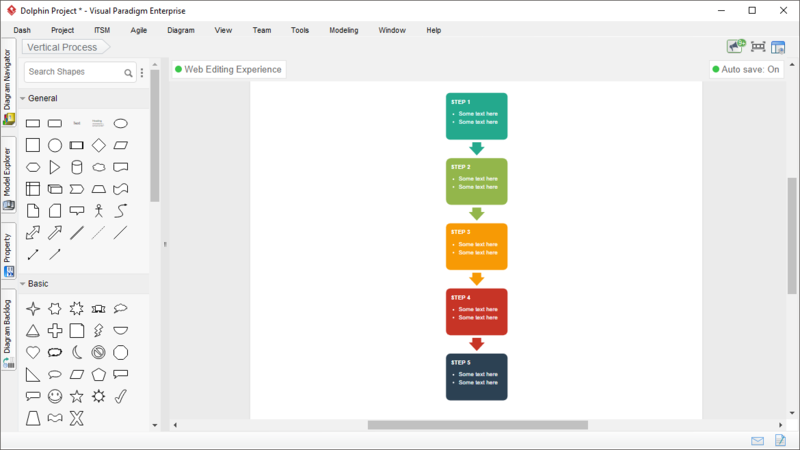 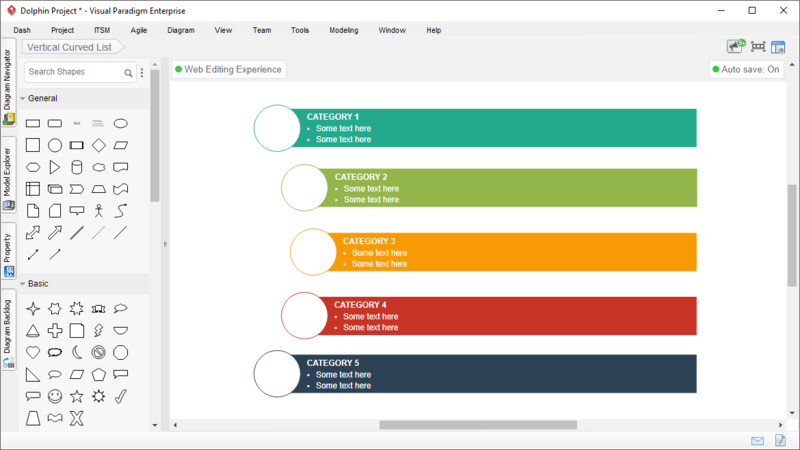 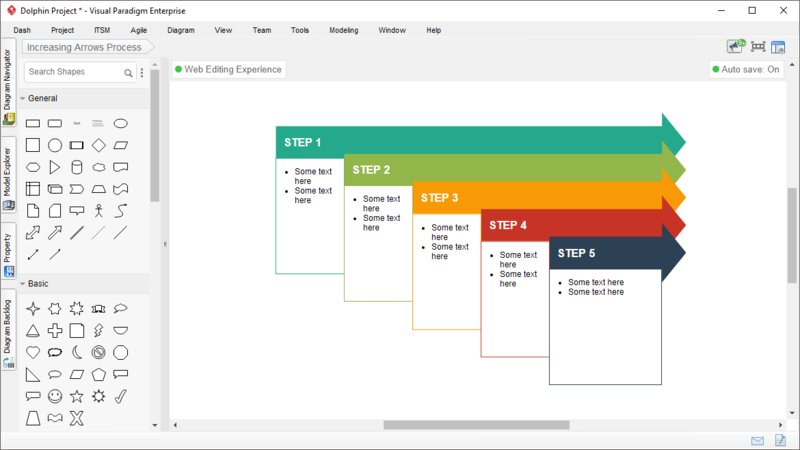 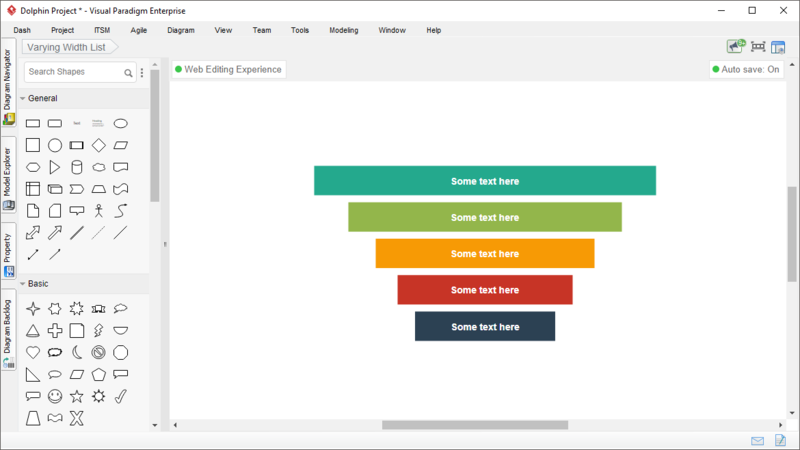 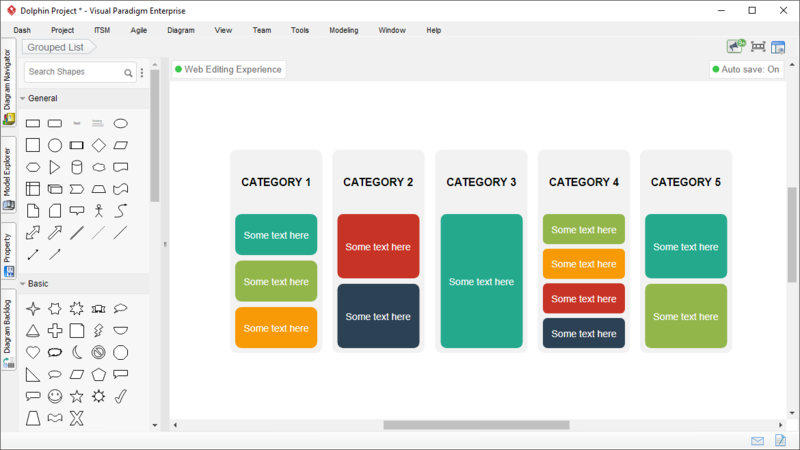 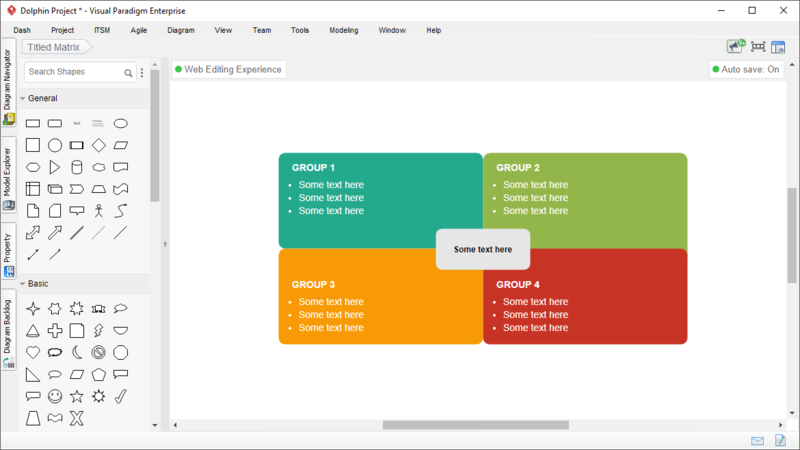 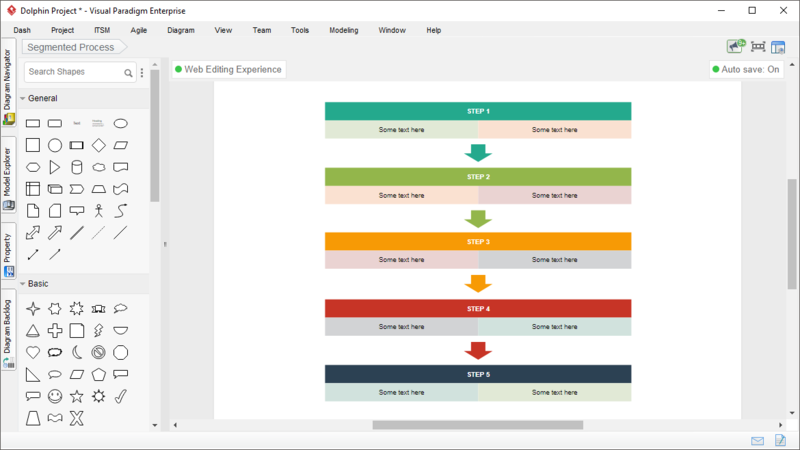 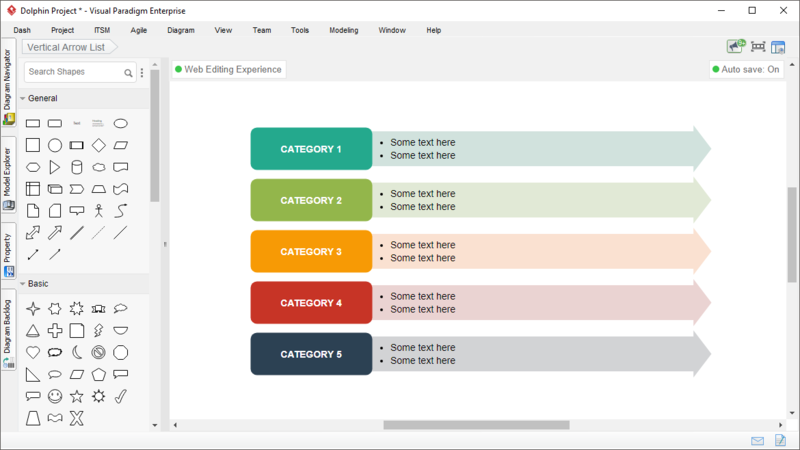 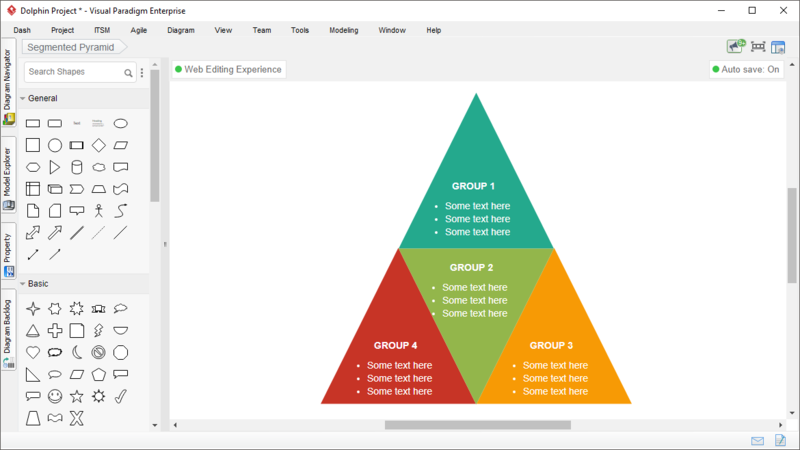 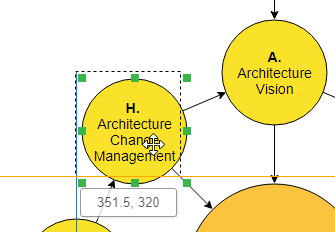 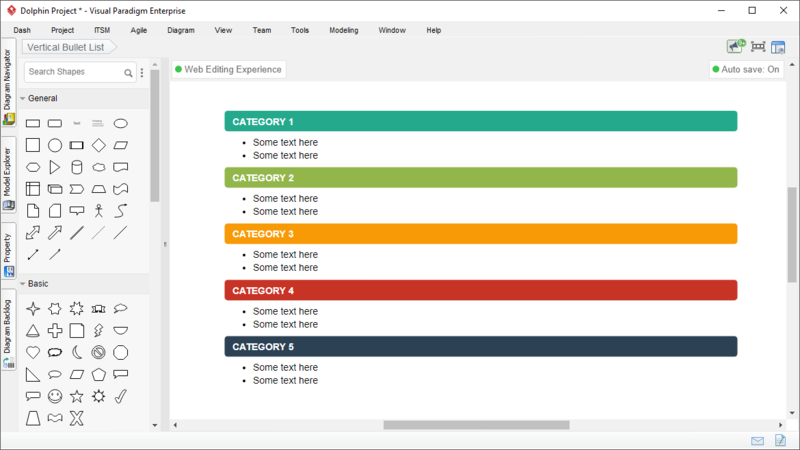 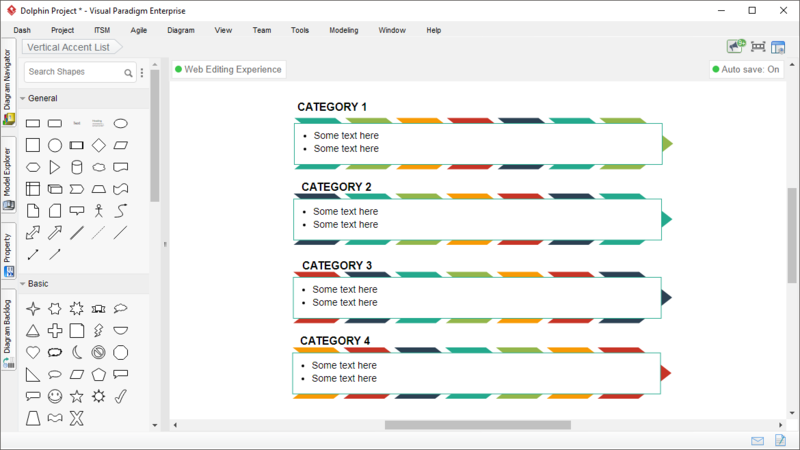 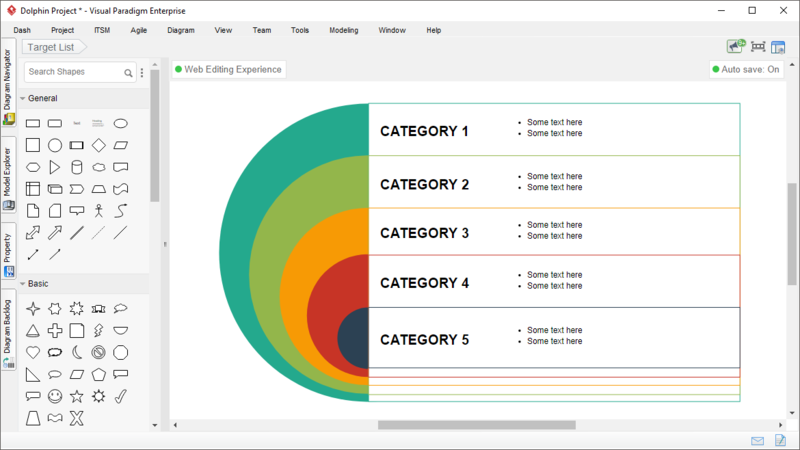 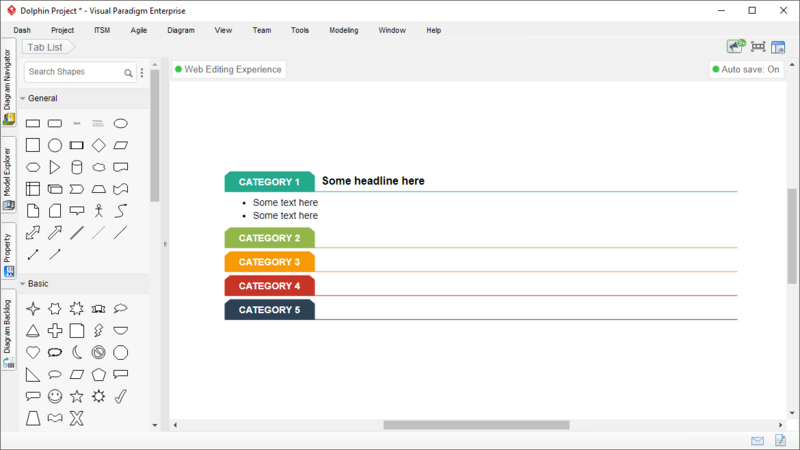 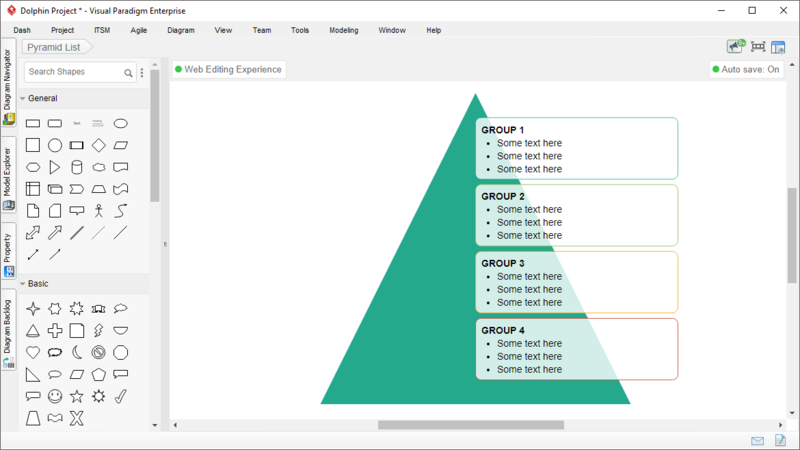 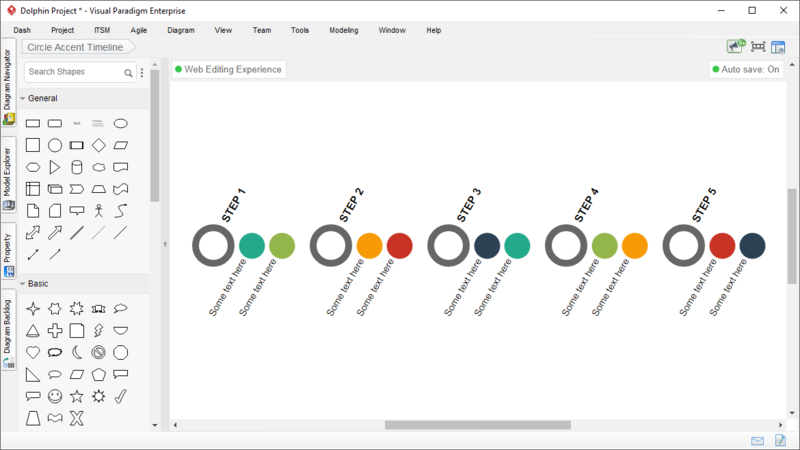 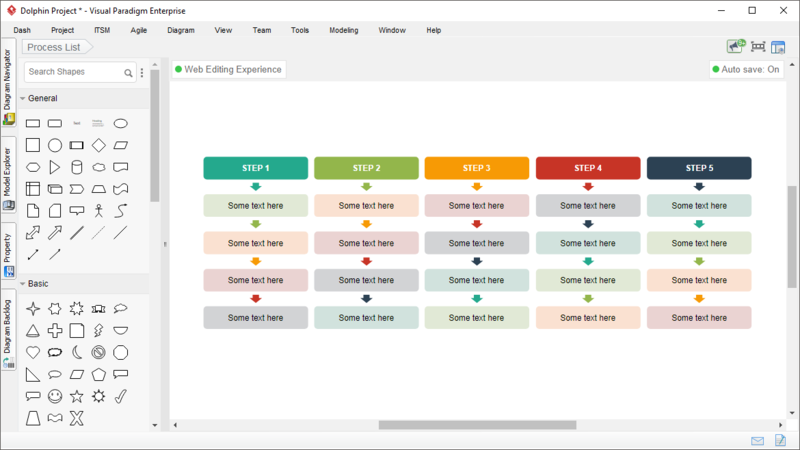 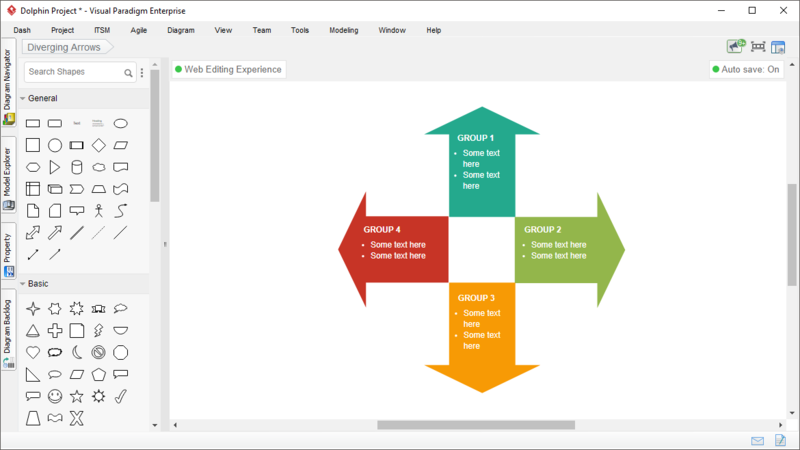 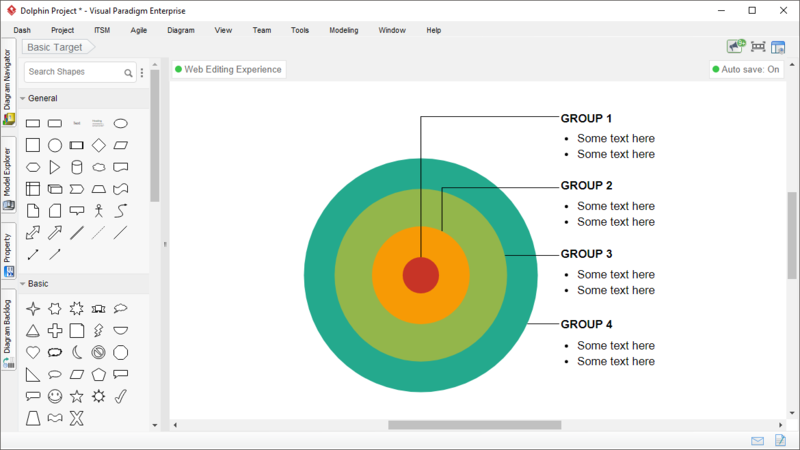 Simply drag the ones you need onto the diagram and format them with the colors you want. 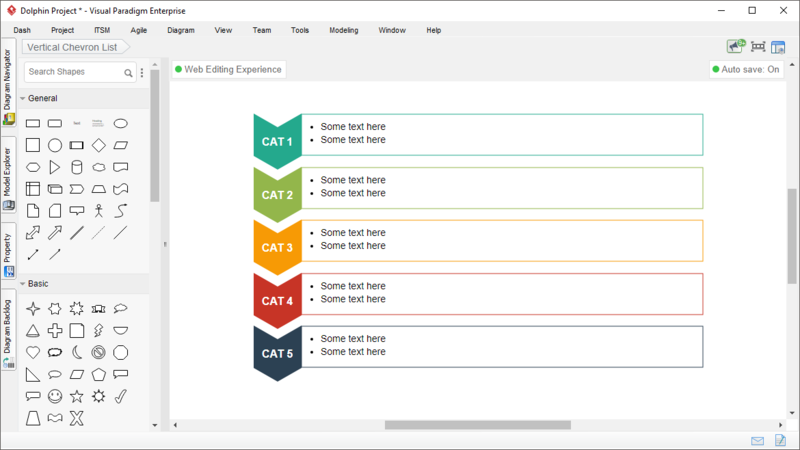 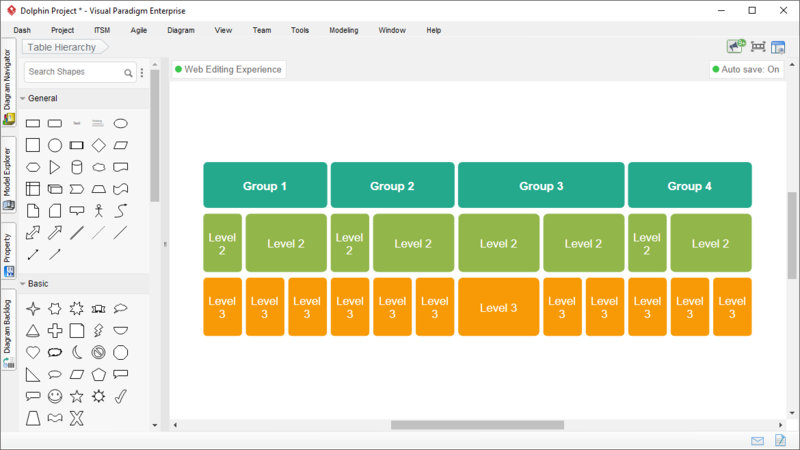 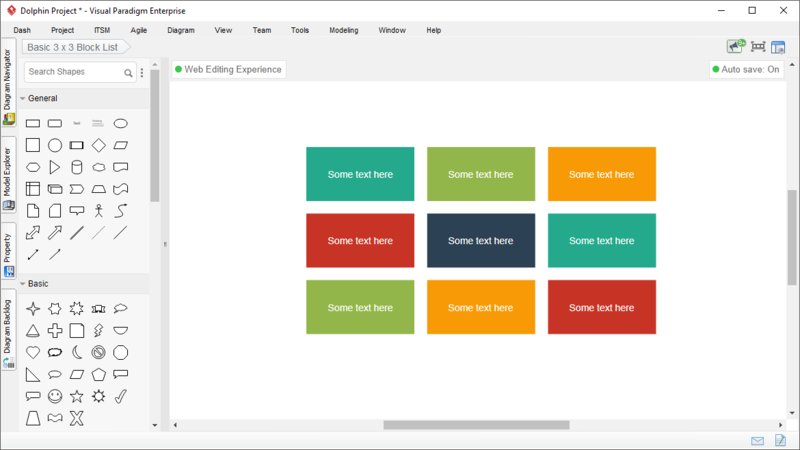 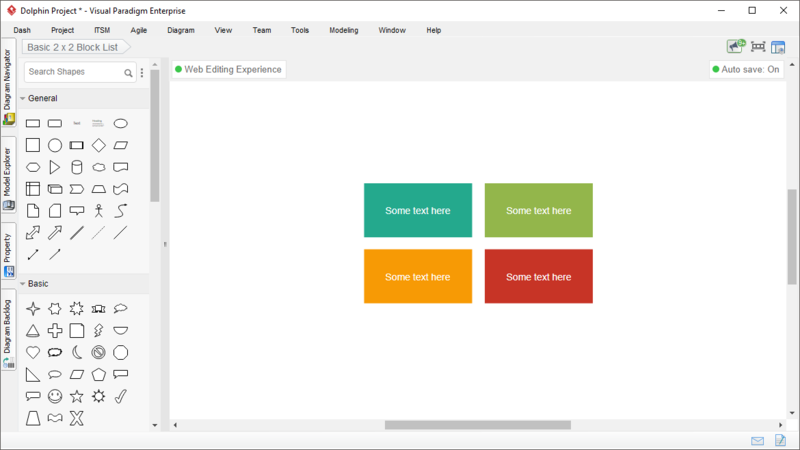 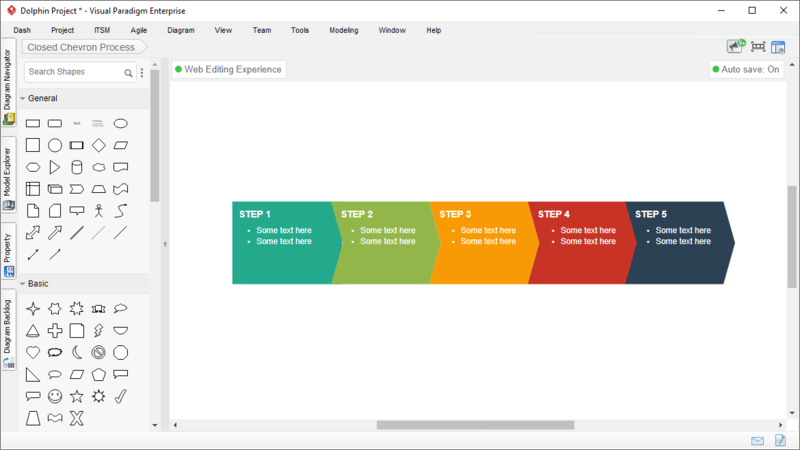 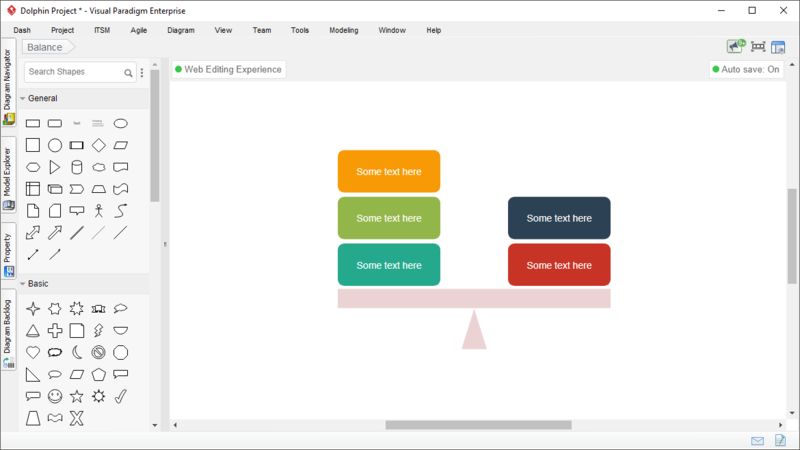 The drag and drop interface makes it easy and fast to produce block diagram in minutes or less, while the alignment guide helps you create beautiful diagram effortlessly. 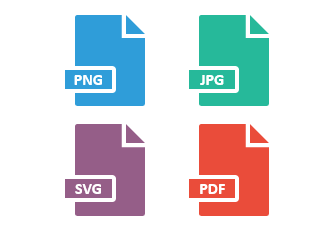 You can export your block diagrams as JPG, PNG, SVG and PDF for sharing and communicating with co-workers, or to include them as part of your presentation. 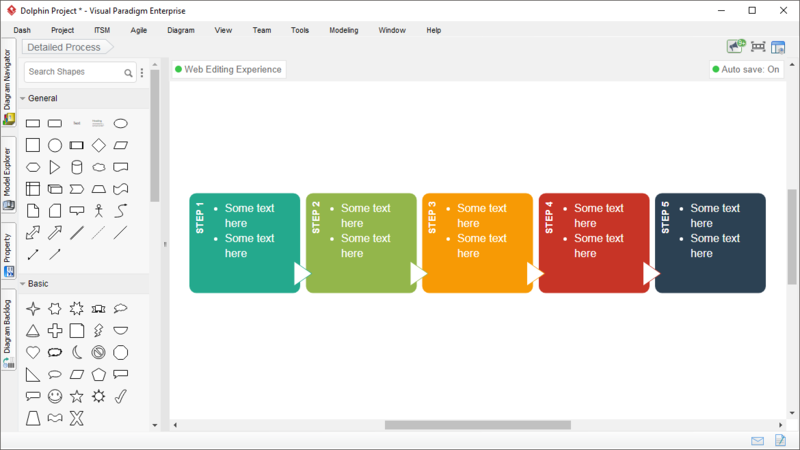 Block diagram allows you to present textual information as graphics, making information easy-to-understand. 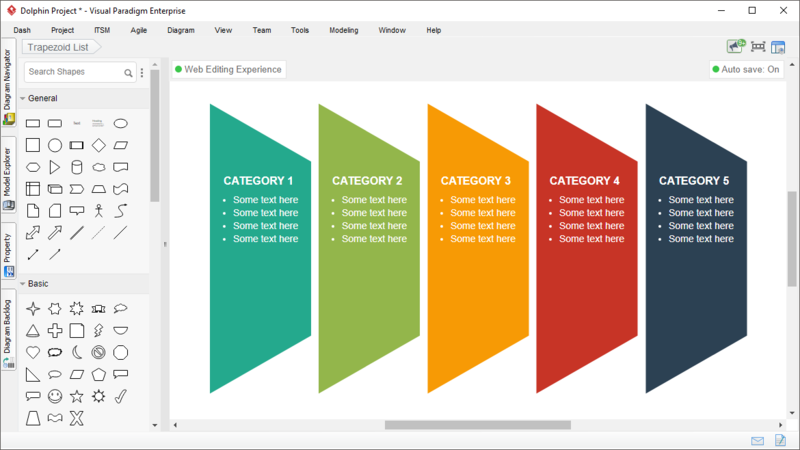 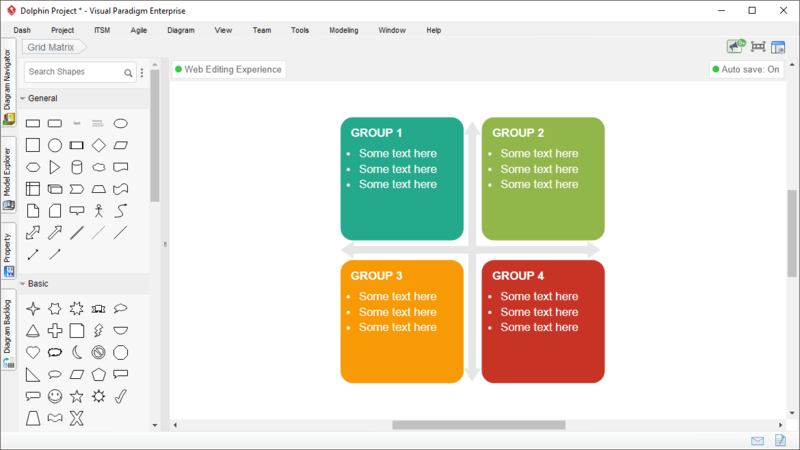 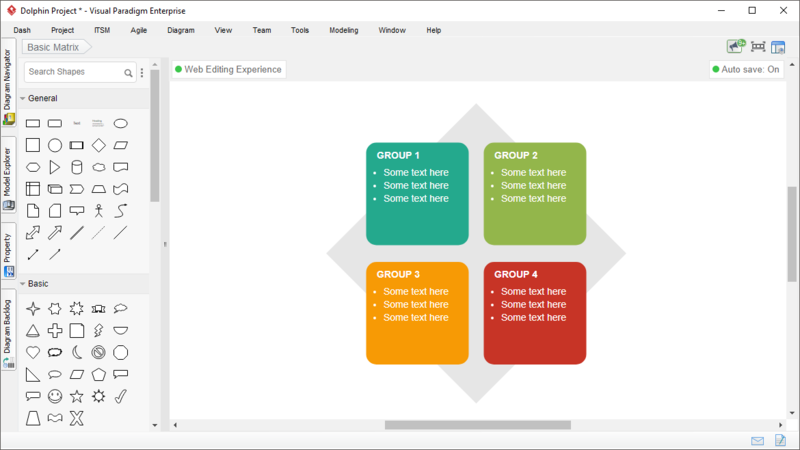 Visual Paradigm saves you time and effort by providing you with a complete collection of graphics to serve the purpose. 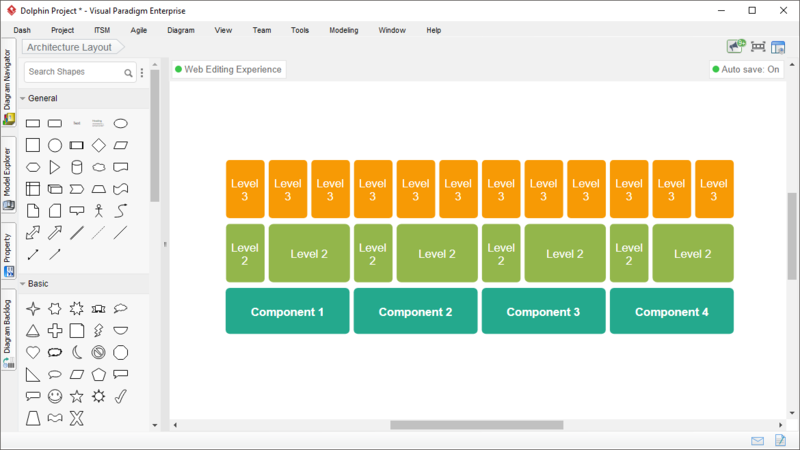 Over 80 beautifully and professionally designed block diagram templates with ready-to-use layouts are available. 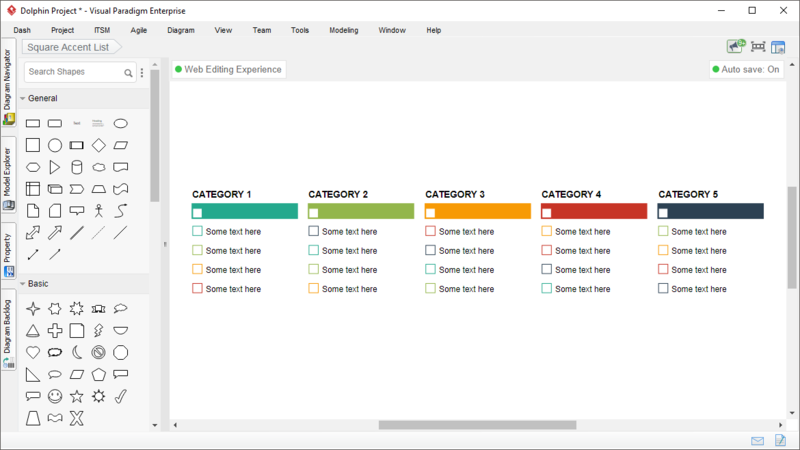 Just start by selecting the template that fits your requirement and supply your data, and that's it. 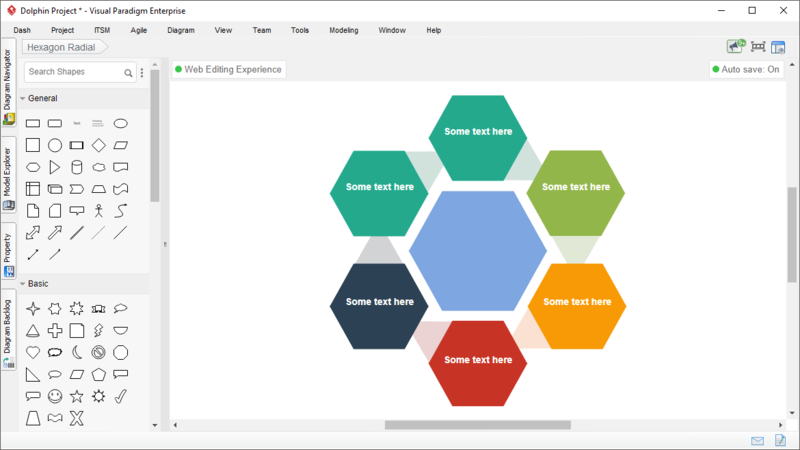 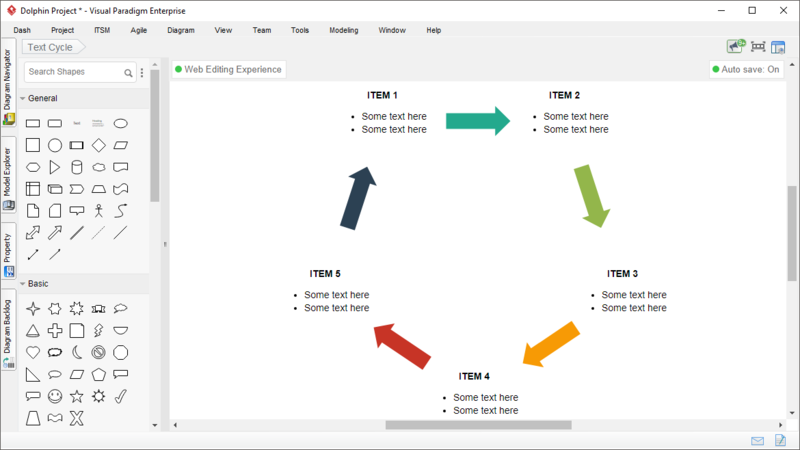 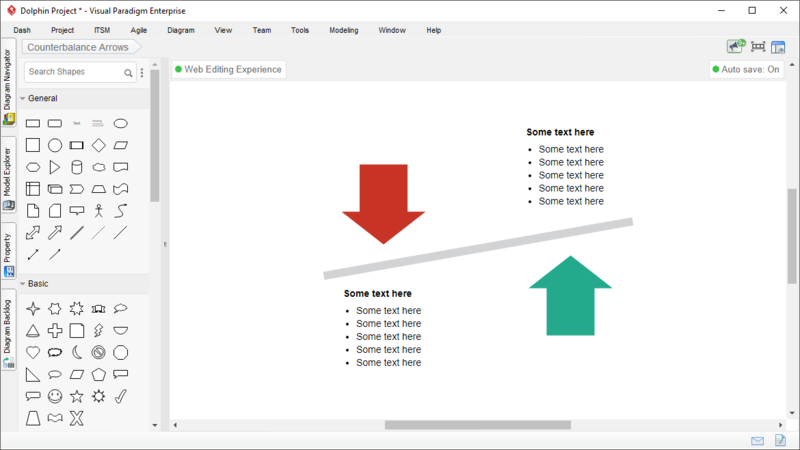 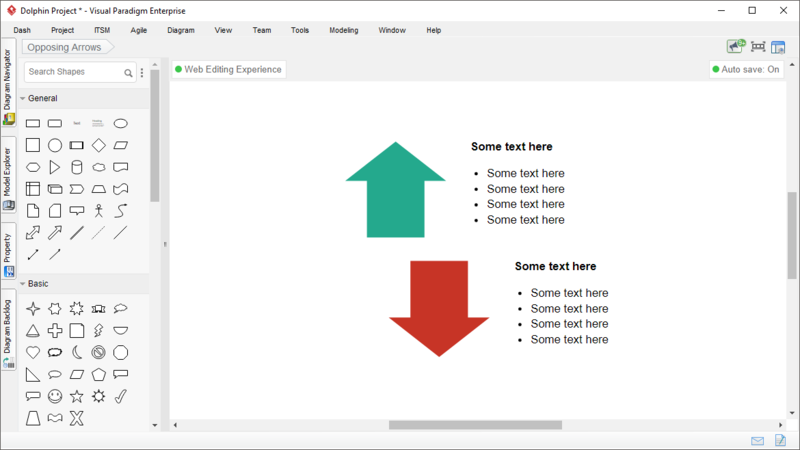 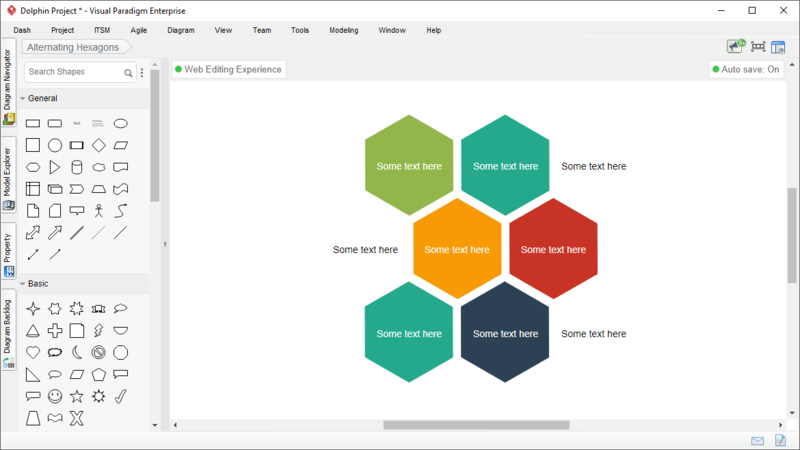 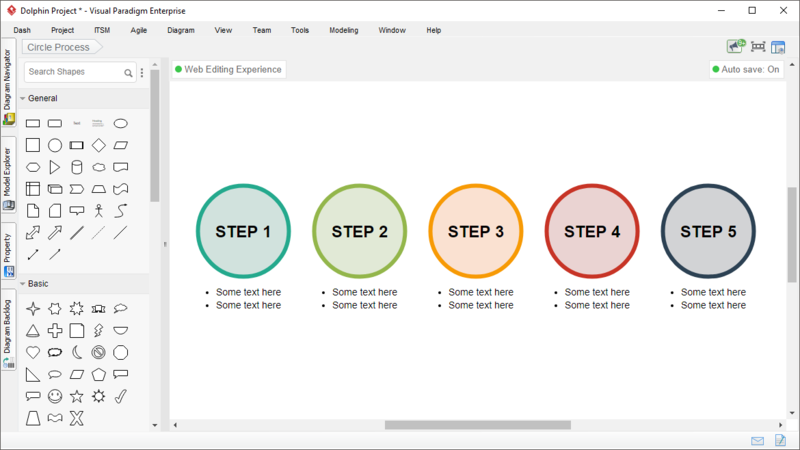 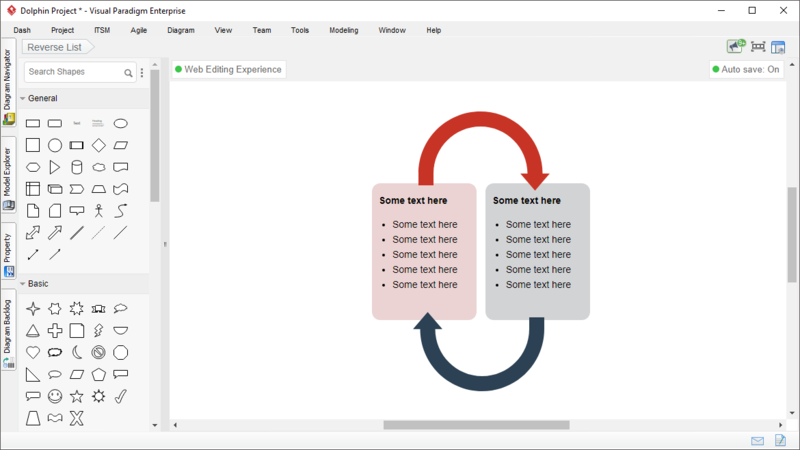 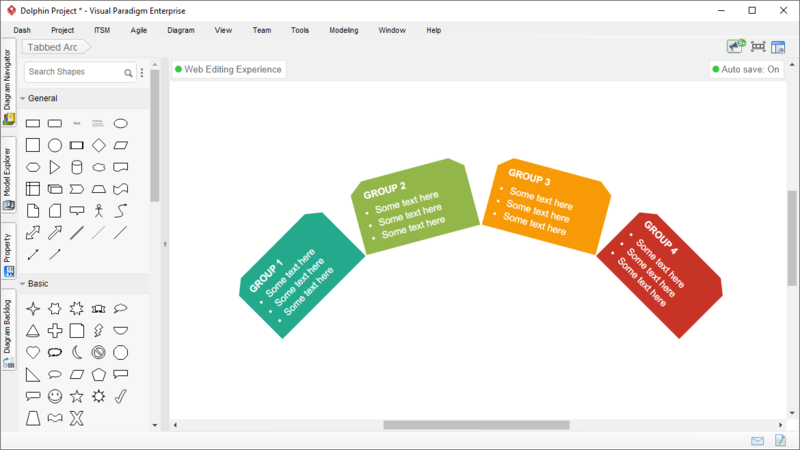 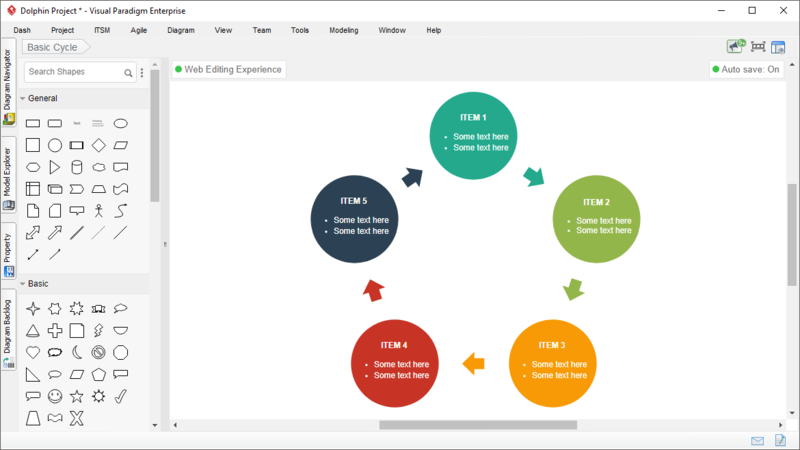 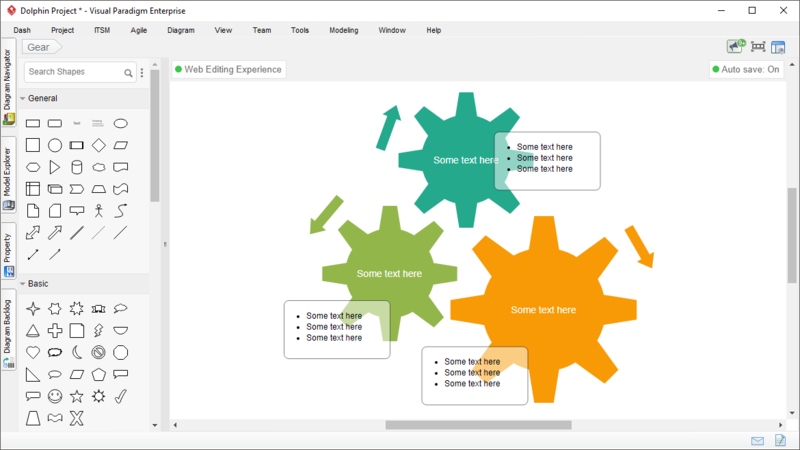 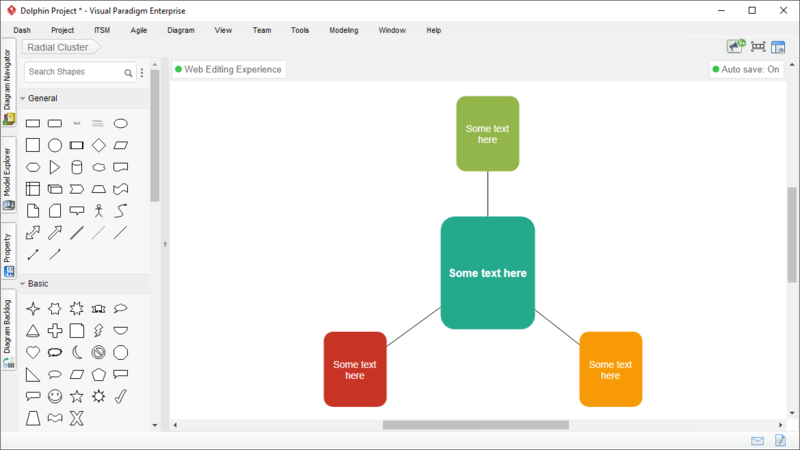 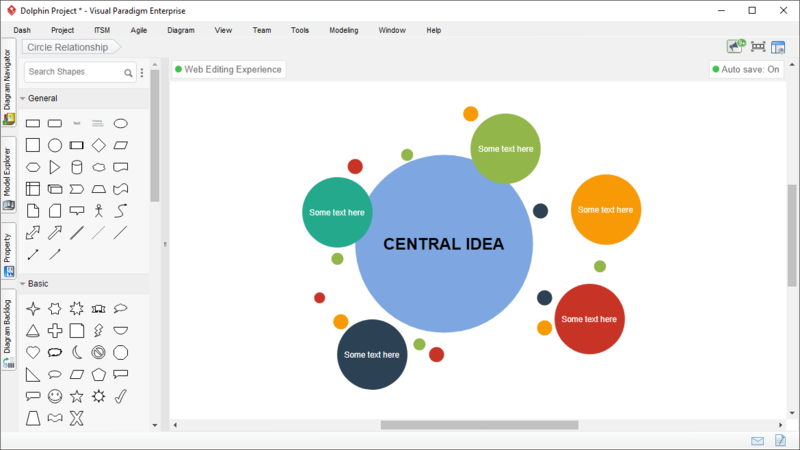 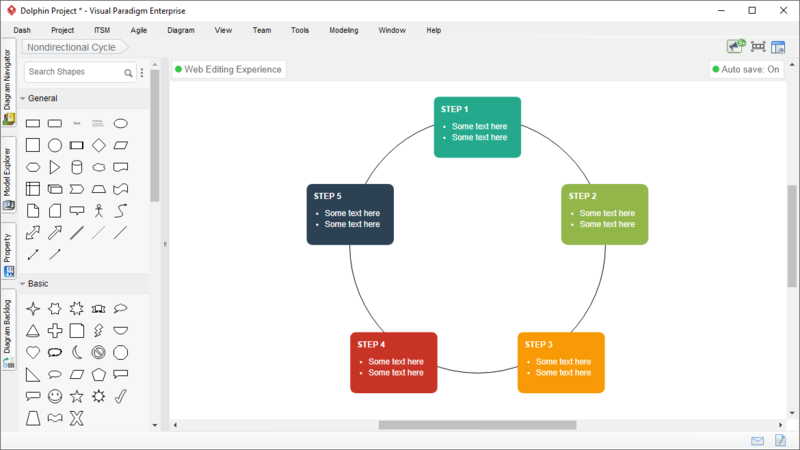 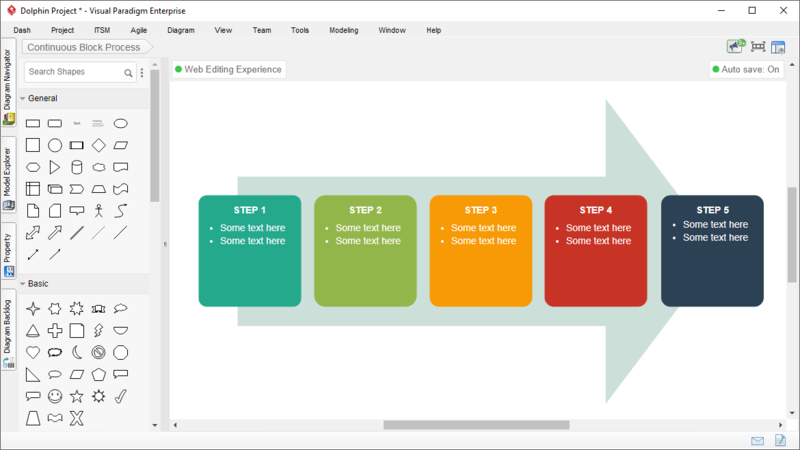 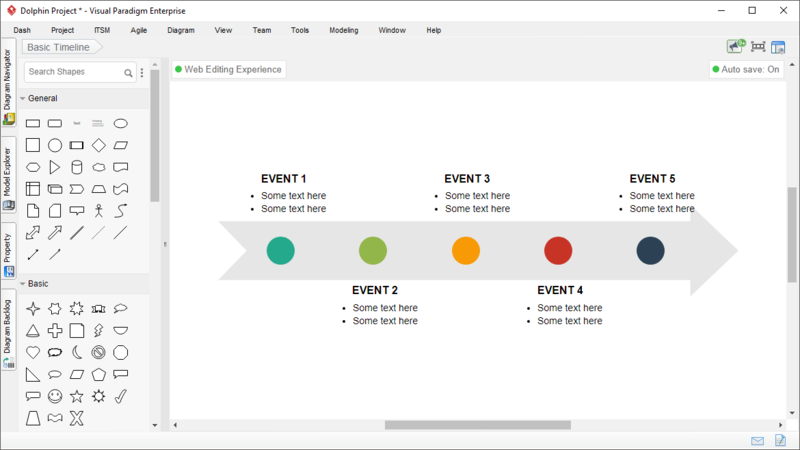 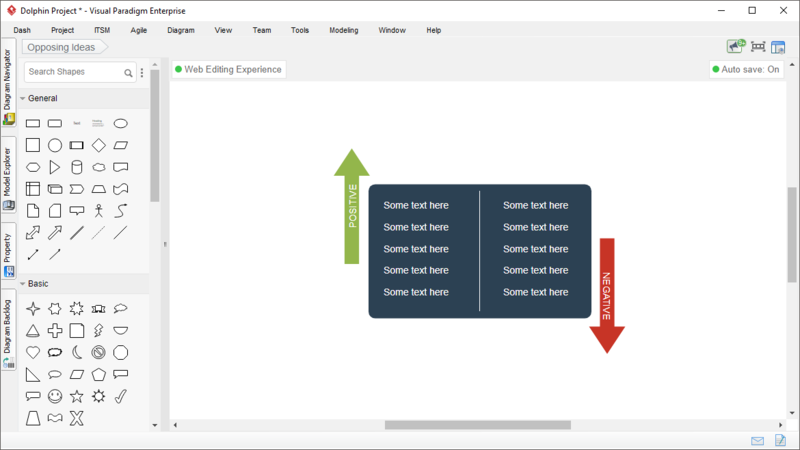 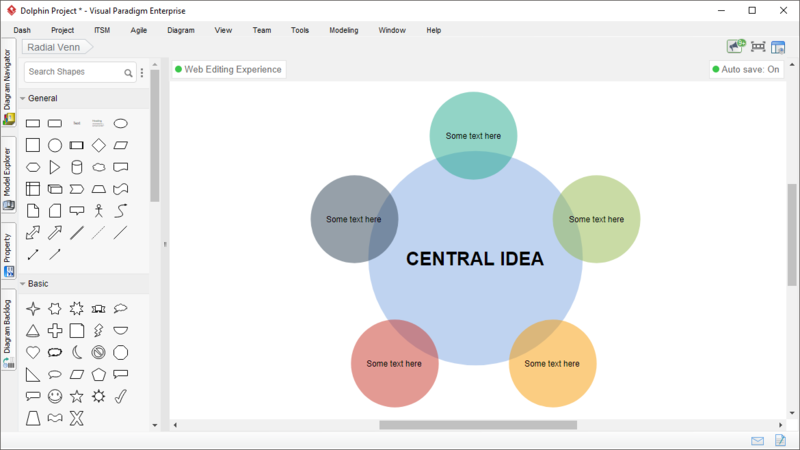 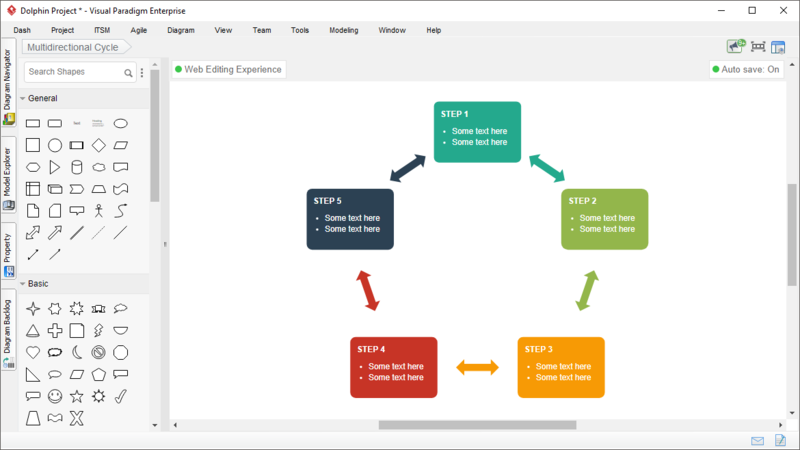 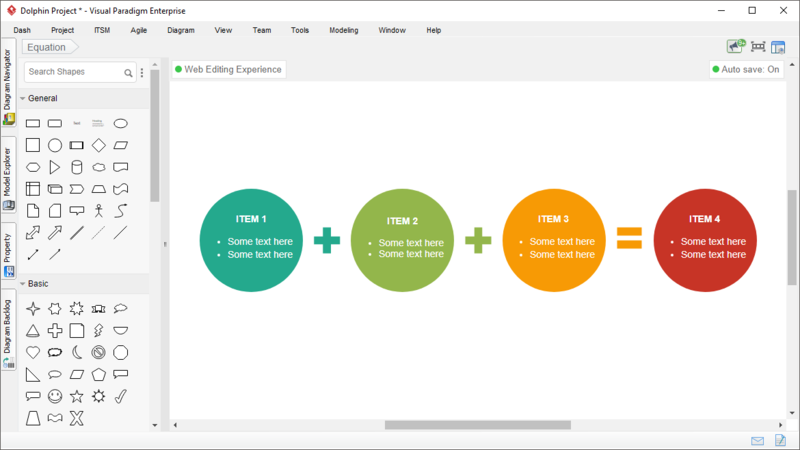 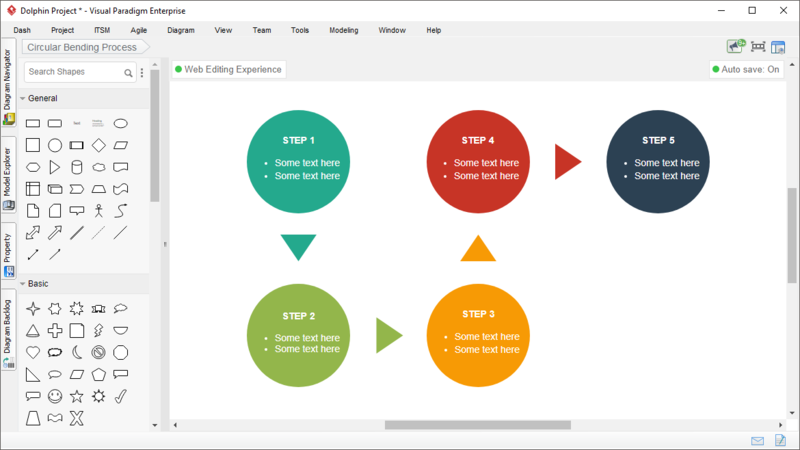 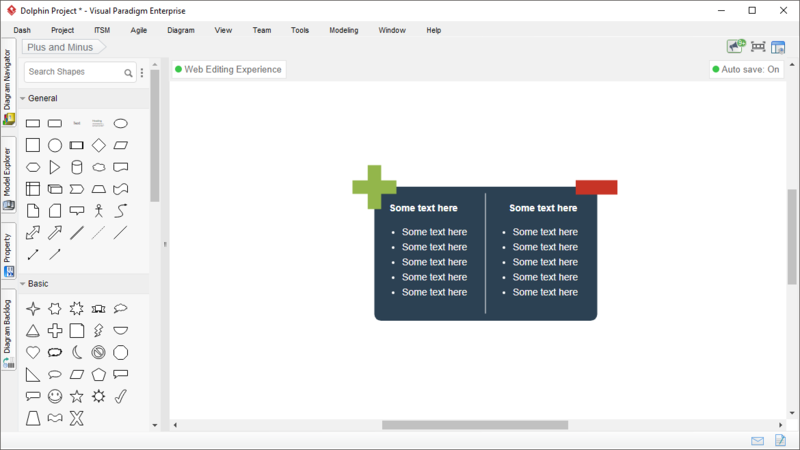 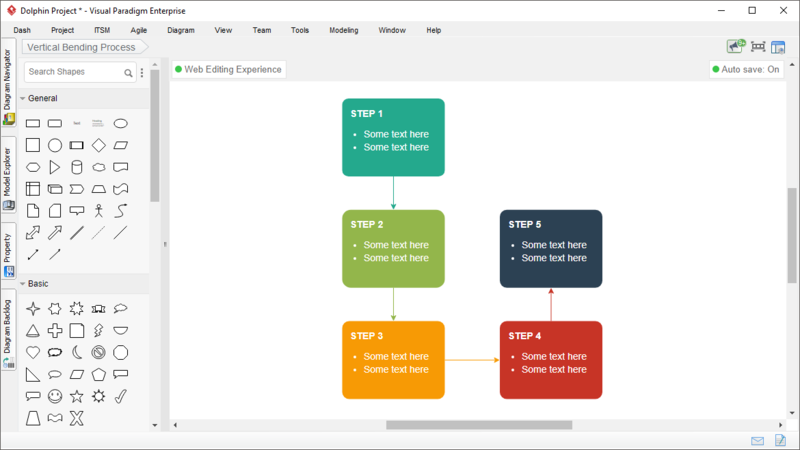 You really don't need to be an artist to create professional diagrams in quick!